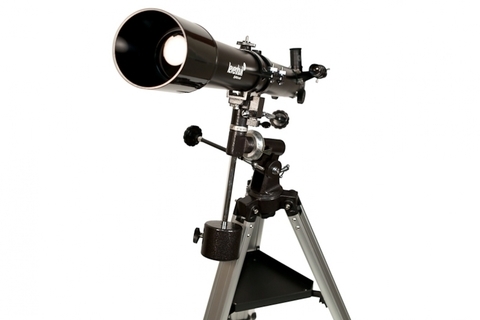 Levenhuk Skyline 70x900 EQ is a refractor with an equatorial mount, which is suitable for both astronomical and terrestrial observations. 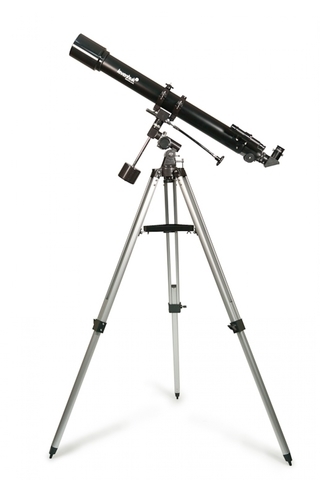 The large focal length (900 millimeters, 35.4 inches) provides a clear picture and magnification of up to 168x.The telescope enables a detailed study of planets, lunar craters, seasons change on Mars and much more. As far as long distance objects are concerned, you can see all the Messier objects very well.